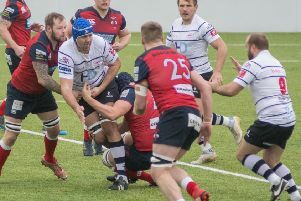 After their best result of the season last Saturday, Preston Grasshoppers’ next target is to end their away hoodoo. However, Arnold is pleased with his side’s ninth position in National League Two North. Hoppers have won five out of 13, whereas Stourbridge have won six and lost seven, but are three places and three points below them because of Preston’s consistent collection of bonus points – 15 to the Midlanders’ eight. There are two changes to the Hoppers starting line-up, both in the pack, with Rouban Birch injured and Arnold standing himself down this week. Chris Roddy comes into the second row and Jack Edwards starts at flanker. There are also changes among the replacements, as Olly Trippier in injured, James Fitzpatrick suspended after three yellow cards and others given game time in the seconds. On to the bench come Ryan Purcell, Connor Johnson, Jake Squirrell and, for the first time, dual-registered Sale Sharks player Nathan Pope. Fylde are at home for the second Saturday in succession, welcoming third-placed Huddersfield to Ansdell. The clubs have identical records – eight victories and five defeats – but the Yorkshiremen have two extra bonus points. Fifth-placed Fylde are seeking a fifth win in a row. Only four places separate Vale of Lune and tomorrow’s visitors in the North Premier League. But ninth-placed Wirrall have won six out of 12, while Vale have just one victory and one draw to go with 10 defeats. 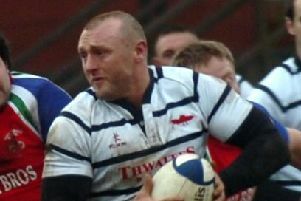 However, the hosts will take heart from Wirrall’s away record so far – five defeats out of five. Three of Vale’s starters last Saturday – Mike Bradshaw, Ruan Fourie and Ollie Jacques – find themselves on the bench tomorrow. Jordan Dorrington is back at centre, Blake Steele comes in on the wing, Ben Dorrington switches to fly-half, James Hesketh makes his first start of the season at prop and Andy Higgin is at flanker. Hoppers: Cave; Trueman, Crow, Stott, Spence; Davidson, Gough; Mabaya, Millea, Altham, Roddy, Procter, Murray, Edwards, Lamprey. Replacements: Purcell, Johnson, Howard, Squirrell, Pope. Vale: Ramwell; Hall, Owens, J Dorrington, Steele; B Dorrington, Swarbrick; Hesketh, Powers, Pillow, Robinson, Fellows, Wallbank, Higgin, Ayrton. Replacements: Bradshaw, Fourie, Jacques.